The findings are out. Rap was invented by an Englishwoman in England in 1923. 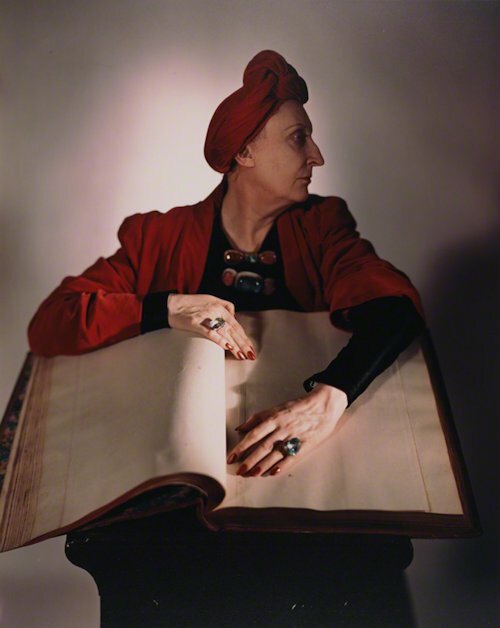 This was the year of the first performance of Edith Sitwell's Façade, an after-dinner entertainment featuring a series of Edith Sitwell's poems set to music by her protégé (and sometime lodger) William Walton. 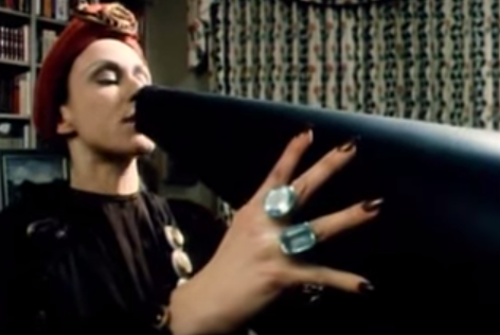 For the original performance, the poems were recited in proto-rap form using a Sengerphone (a papier-mache megaphone). The performers were hidden behind a curtain, with the Sengerphone poking out of a hole in the mouth of a face painted (by artist John Piper) on the curtain. Avant-garde doesn't come close. 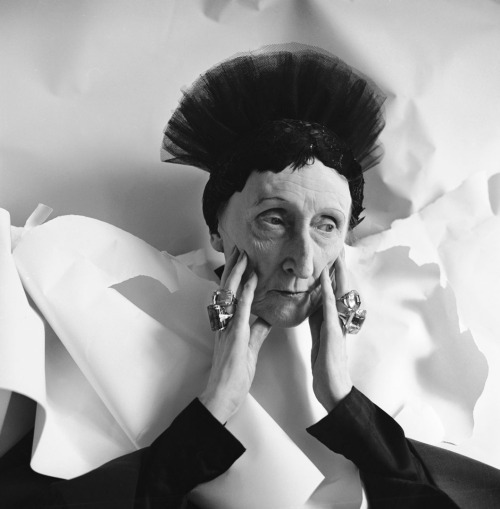 Edith — who a shallow critic once described as being as 'ugly as modern poetry' — was very much a product of a time when Britain was a cultural Galapagos. Before all the cultural homogenisation of globalisation began to seep in. This 1929 recording with recitation by Edith and Constant Lambert gives a flavour of its odd, creative brilliance. Try to make it to 7' 04" where you get the slightly famous Popular Song. If you dare, there's a CD transfer of this 1929 recording that includes a later recording Edith made with Peter Pears. As a bonus on the CD, you also get The Triumph of Neptune by Edith's contemporary and fellow English eccentric Lord Berners thrown in gratis. 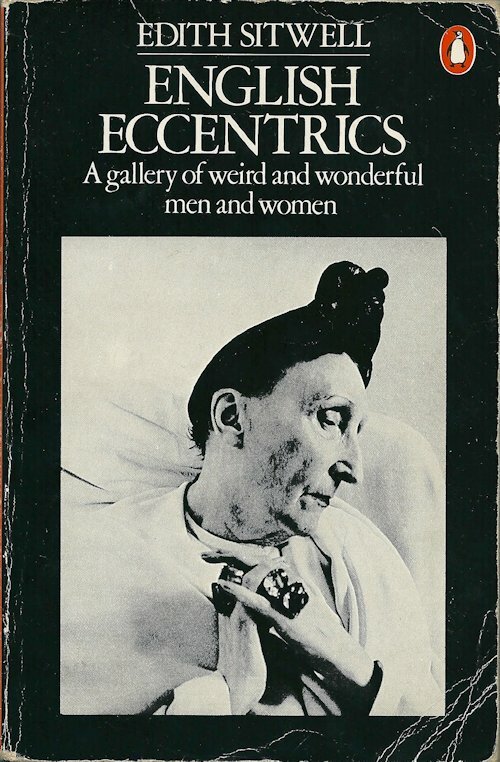 English Eccentrics is out of print, so you will need to hunt around for it. I obtained a very nice hardback edition by The Folio Society after some searching. God bless the English eccentrics and long may we maintain a habitat in which they can flourish. This short documentary describes William Walton's relationship with the wonderfully free-spirited Sitwell siblings in the 1920s, whose patronage and contribution to the art and culture of England has never been fully recognised.